This certificate has NO Value. Not for legal tender -for illustration purposes only. Please verify authenticity of transaction. 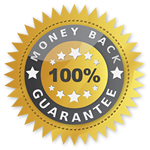 By downloading and using this certificate - you agree to all legal responsibility to using this certificate for any transaction and release certificatestreet.com and associates from any liability of damages or losses associated therewith.